Few countries on earth evoke a sense of rugged wilderness like Canada. It is a vast nation (only Russia is bigger) that stretches from the northern boundary of the United States, across sweeping prairies, monumental mountains, towering forests, and boundless tundra, almost to the North Pole. 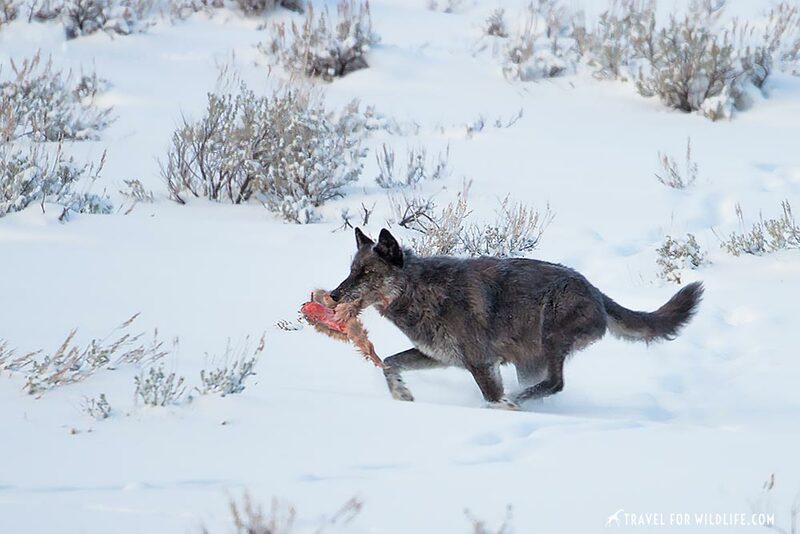 Do you dream of seeing Gray Wolves running free? Few people reach its northern latitudes where wildlife reigns supreme. 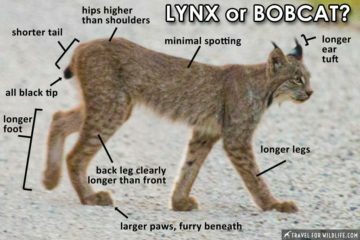 Canadian animals like wolves, grizzly bears and lynx roam freely. 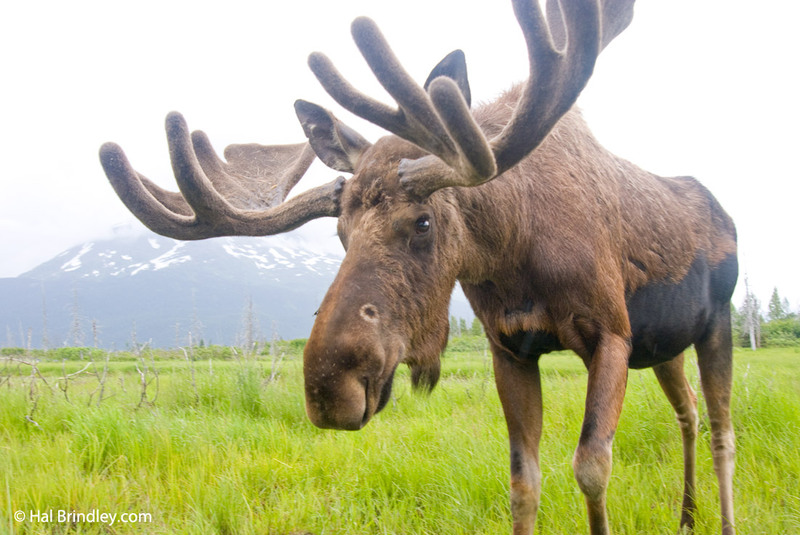 Giant moose plunk their way through shallow lakes and thousands of caribou migrate between their summer and winter grounds. Magnificent marine mammals like orcas and gray whales ply the rocky coastlines, while the legendary narwhal haunts the northwest passage. On top of all that, Canada is one of the few places in the world where you can predictably see a polar bear. 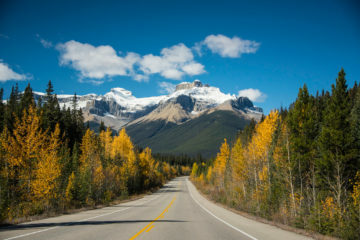 If you are in search of true wilderness and rugged wildlife adventures, few destinations can match the grandeur of Canada. 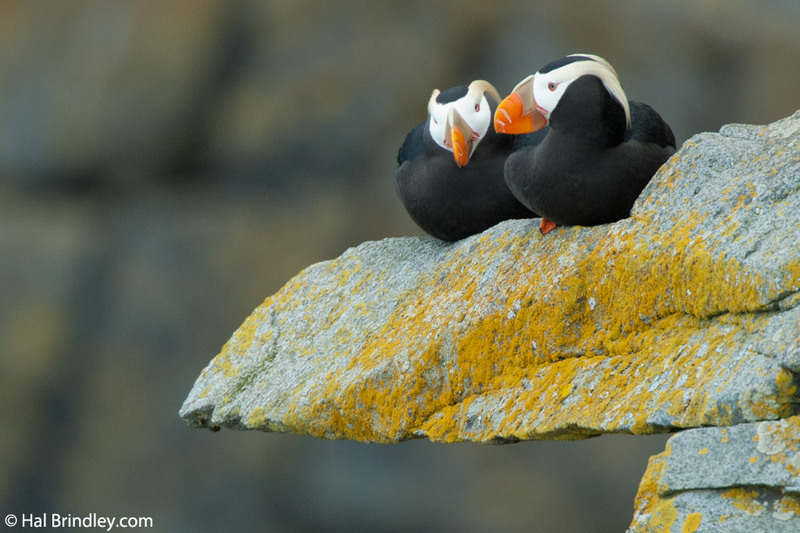 Horned Puffins may be sighted along Canada’s west coast. 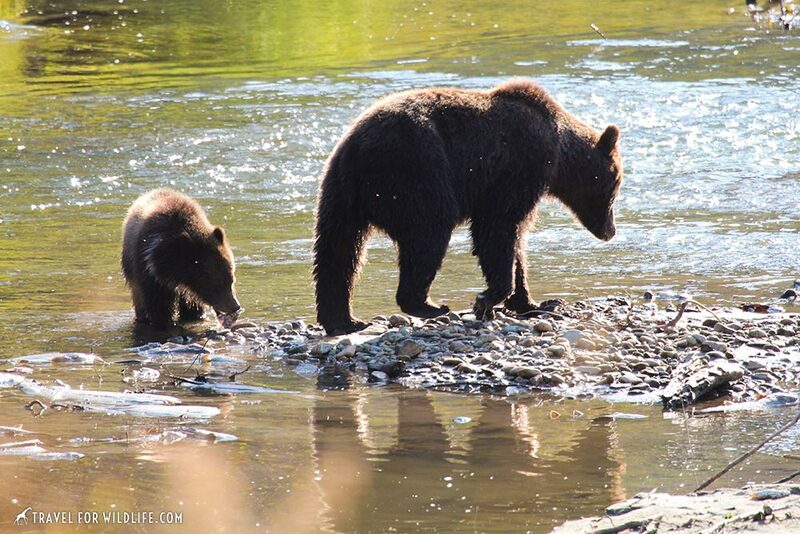 Wondering where to watch wildlife in Canada? In such a vast country filled with wilderness, there are plenty of natural spaces where amazing wildlife spectacles occur. Some are heavily touristed like Churchill and Vancouver Island; others are remote and hard to reach like the territory of Nunavut. 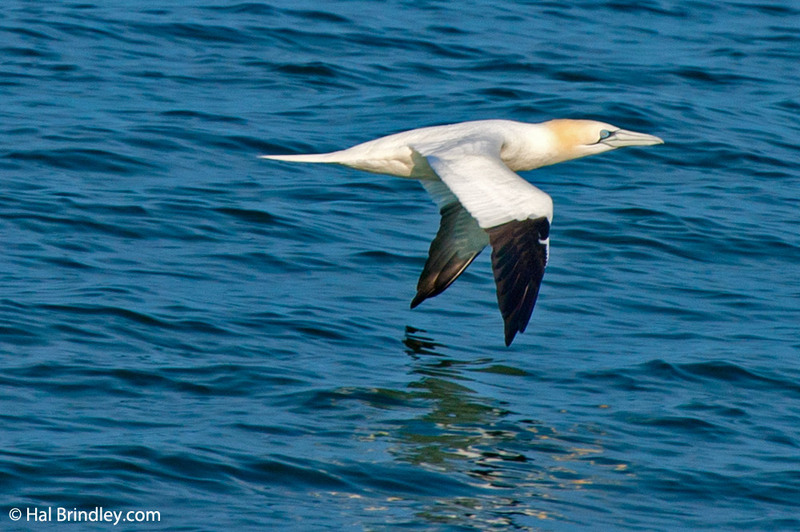 Here are just a few of the best hotspots for wildlife viewing in Canada. Vancouver Island is known as one of the best spots in North America for whale watching. The waters surrounding Vancouver Island teem with orcas (killer whales), as well as harbor seals, sea lions, and harbor and Dahl’s porpoises. Some 20,000 Pacific grey whales make their annual migration along the west coast of Vancouver Island. Several whale watching trips set off from Victoria. 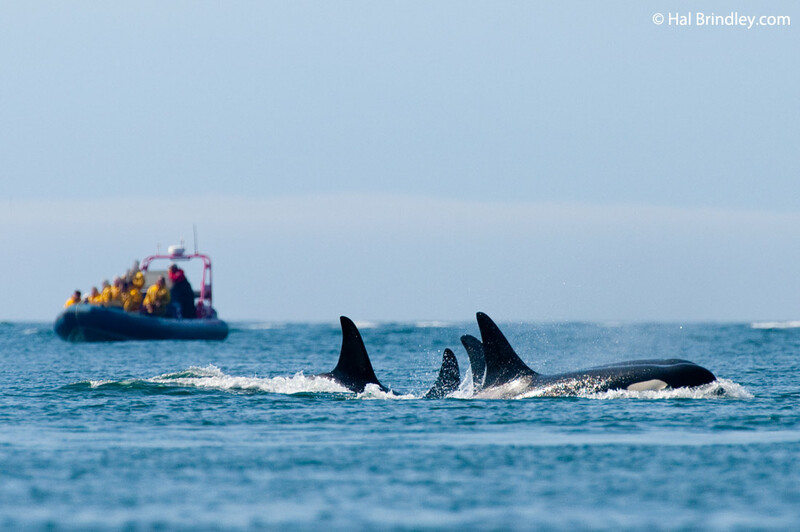 For the more adventurous, kayaking trips along the British Columbia coast and Vancouver Island can provide amazing close encounters with killer whales. 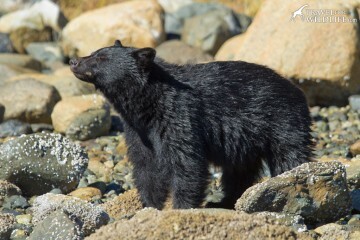 Here is the wildlife photo gallery we saw during one of our whale watching trip we took in Tofino. Other notable wildlife in the area include Bald Eagles and Grizzly Bears. Also, you cannot miss a visit to (what we think is) the best aquarium in the whole world, Ucluelet Aquarium. Churchill has dubbed itself the Polar Bear Capital of the World and with good reason. It is probably the only place in the world where one can predictably watch wild polar bears. In late October and November, polar bears gather near this remote Manitoba town while they wait for the waters of the Hudson Bay to freeze. Then they can go out and hunt for their favorite prey: seals. Snowy owls, arctic foxes, red foxes, and ptarmigans provide great photo opportunities. 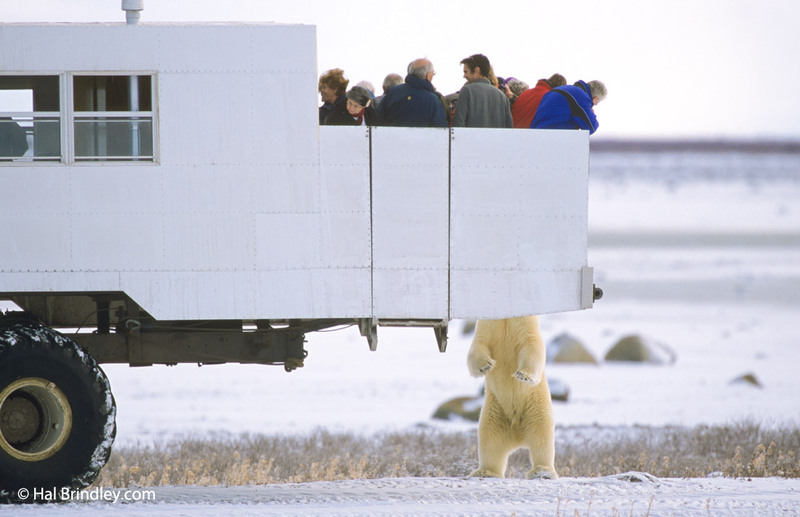 Most visitors take a tour on modified tundra buses where great numbers of bears can be viewed safely. 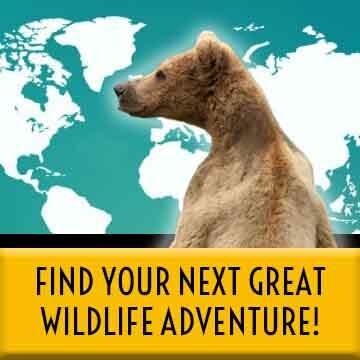 During the summer there is a new wildlife star. Beluga whales congregate in huge numbers in the mouth of the Churchill River. Wildlife enthusiasts can view them on boat tours while the more adventurous may opt to kayak or even snorkel with these charming sea mammals. Need to get to Churchill? It is not easy but so worth it. Here is how to get to Churchill. Our number one wildlife encounter in the whole world is to snorkel with beluga whales in Churchill. If you find yourself there in August, make sure to add this to your to-do list! Of course you cannot miss the experience to join a walk with polar bear safari. It is the only way to have a safe and close polar bear encounter. Nunavut is the largest and northernmost territory of Canada. It is one of the most remote and sparsely populated areas in the world, not to mention the coldest place in Canada. Of the few humans that do live there, most are Inuit, the native people of northern Canada. A visit to Nunavut is not only wildlife-packed but culturally rich. The waters of Nunavut support diverse Arctic marine life such as bowhead whales,belugas, narwhals, polar bears and walruses. There is plenty of wildlife inland as well. 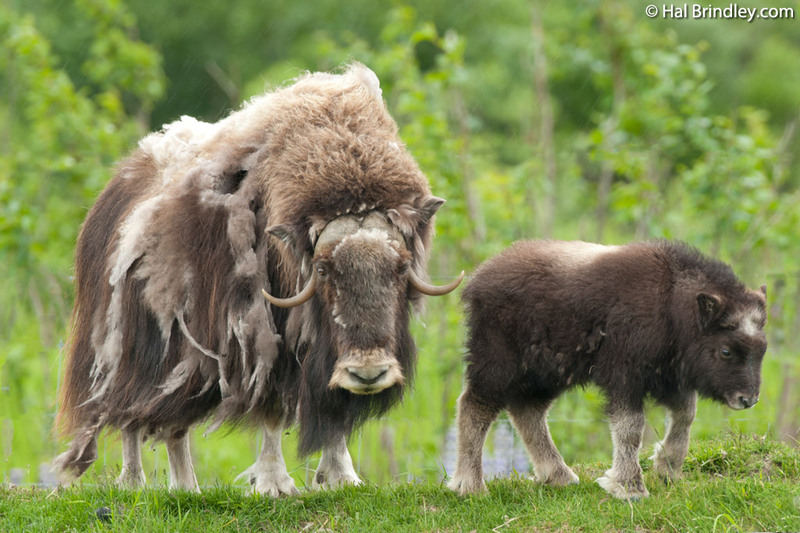 Musk-ox, wolves, foxes and bears roam the tundra which is permanently frozen in the winter, and swamped by mosquitoes in the summer. Nunuavut also supports Canada’s largest population of caribou, the Kaminuriak (Qamanirjuaq) Herd, numbering more than 460,000 individuals! Wildlife activities include polar bear viewing, whale watching, and kayaking with beluga whales. 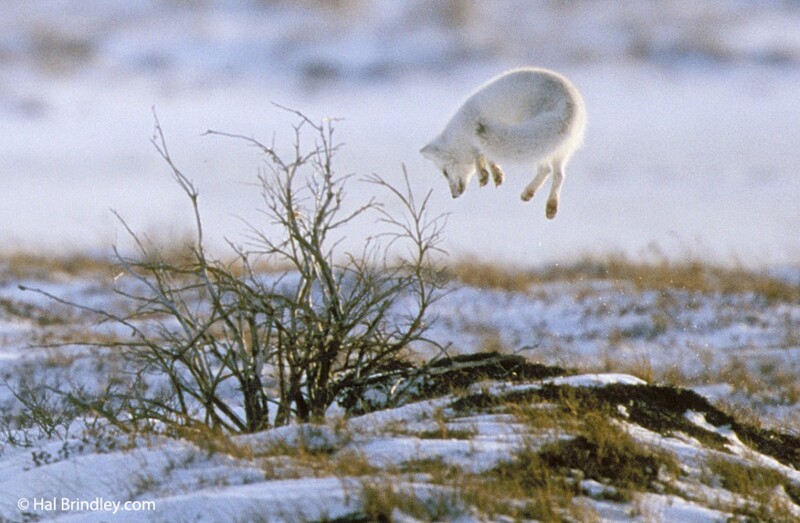 Some travel companies offer wolf safaris, which follow the famous caribou migration, as well as musk-ox and northern lights tours. The Great Bear Rainforest is a vast area of temperate rainforest nestled along the coastline of British Columbia, stretching from Vancouver Island up to southeast Alaska. 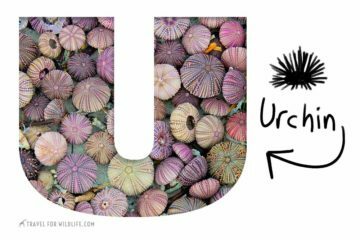 It lies within one of the biggest temperate rainforest regions left on the planet. The Great Bear Rainforest is known for being home to the Spirit Bear, a subspecies of the American black bear in which 10-20% of the population has a recessive gene that results in having a white coat. 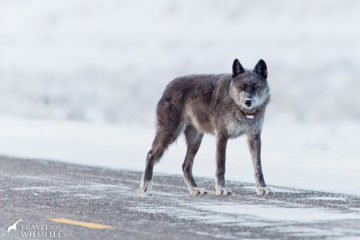 Other notable wildlife species include grizzly bear, salmon, mountain lions and the coastal wolf. These wolves are also atypical as they’ve learned to fish for salmon, making for some very rare wildlife watching opportunities. In the spring, humpback whales arrive to feed and salmon begin their annual migrations up river to spawn. This, in turn, draws grizzlies, spirit bears and wolves to the estuaries. 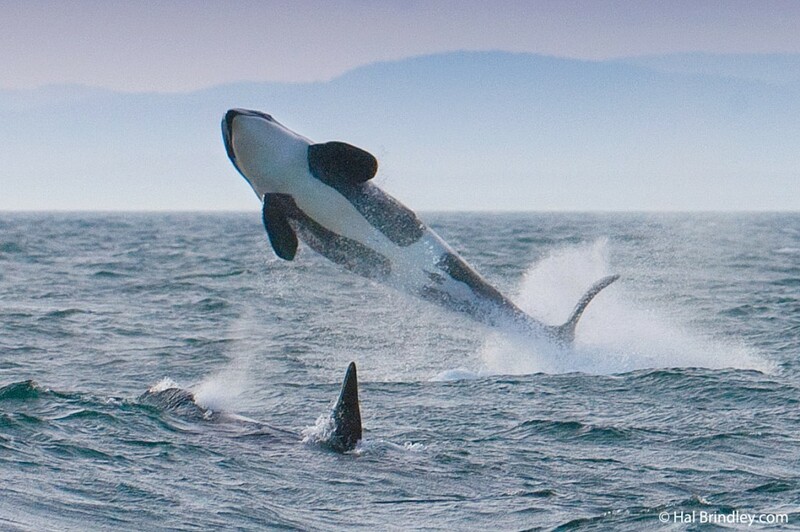 The arrival of salmon is also good news for killer whales,sea lions, seals, and the bald eagles. Wildlife watching opportunities include grizzly and spirit bear viewing tours (sometimes rewarded with wolf sightings) and whale watching. You can also kayak with orcas, humpback whales, Steller sea lions and sea otters. 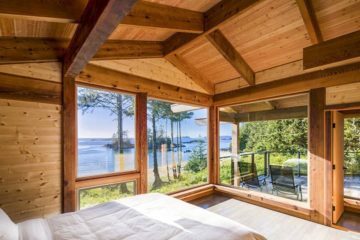 This is the perfect time to stay at a wilderness lodge in the Great Bear Rainforest. Prince Albert National Park in Saskatchewan was put on the map by conservationist Grey Owl. In fact you can visit his lakeside cabin. On Lavallee Lake roosts the second-largest white pelican colony in North America. This colony is fully protected and visiting restrictions apply. During your visit to this 400,000-hectare (1 million-acre) wilderness you can see Canada’s largest free-ranging herd of plains bison, as well as moose, elk, caribou, black bear, and red fox. The Avalon Peninsula is located in the south end of the isle of Newfoundland in north eastern Canada. In one busy day you can see a herd of caribou, the largest puffin colony in North America, and an extraordinary gannet colony visible from mainland cliffs. From orcas to polar bears, Canada has a lot of wildlife to offer. Some of the best wildlife encounters include kayaking with killer whales, snorkeling with belugas, and polar bear watching. Other Canadian animals that you may see during your visit to Canada are snowy owls, grizzly bears, arctic foxes, puffins and wolves. 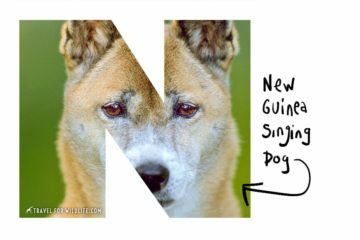 Here is the list of animals that made it to our top five. 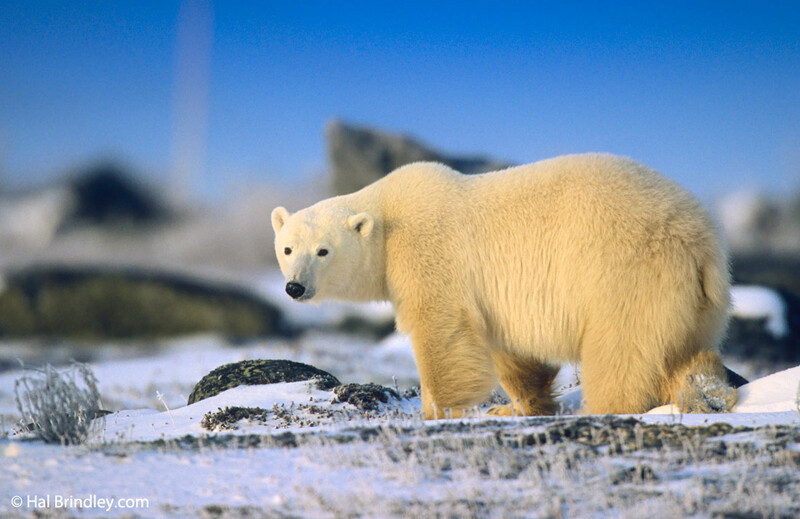 One of the most iconic animals on earth, the polar bear is also the biggest land carnivore. Their main food source is seals (Ringed and Bearded), which are hunted on pack ice when they come to the surface to breathe. Polar bears may also feed on walruses, beluga whales and birds. 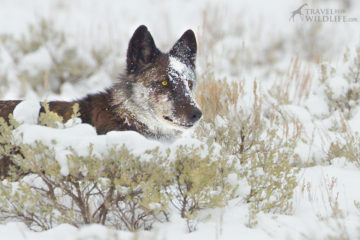 Their sense of smell is so acute that they can smell prey that is a mile away and up to 3 feet under the snow. To see a polar bear, the best bet is to head out to Churchill, Manitoba on the Hudson Bay. During the months of October and November, polar bears congregate in the area while they wait for the bay to freeze. It is here that you can take tours on the famous tundra buggies and see these amazing animals up close. Read more in the Churchill tab above. 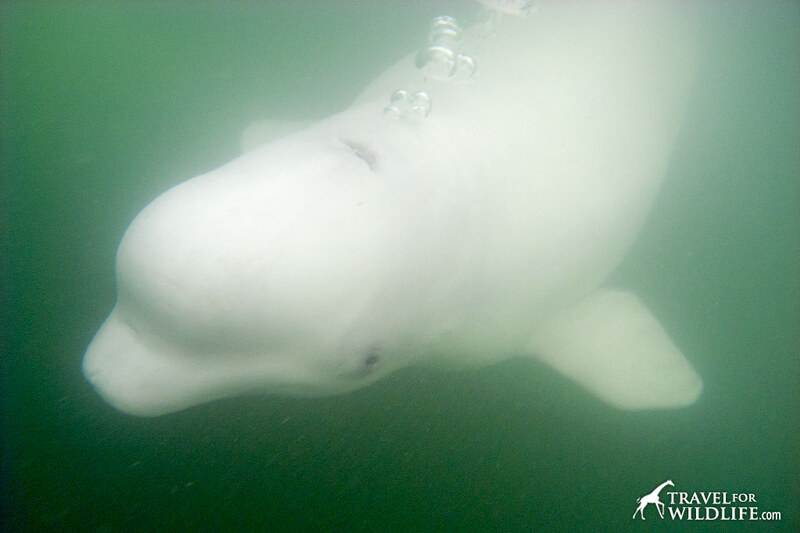 This white cetacean is recognizable for its stocky body, small melon-shaped head, and semi-flexible neck. They live in Arctic waters around Canada, Russia, Greenland and Svalbard. Beluga whale calves have a greyish color and change to white as they mature. Feeding on fish, worms, and invertebrates, beluga whales can turn their heads and move their lips, hence the diverse facial expressions they are able to make. To see (and swim with!) beluga whales, once again, your best bet is to head out to Churchill, Manitoba where there are tour companies that will take you on sightseeing boats, kayaking or snorkeling trips to view these adorable creatures when they arrive in the summer months. How to get to Churchill? It is not easy or cheap, so know your alternatives! 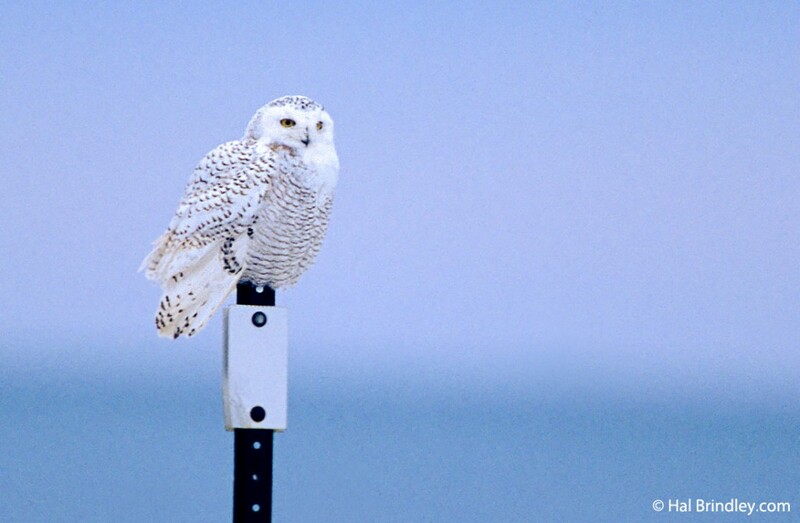 Also known as an Arctic Owl, the Snowy Owl inhabits the open tundra around the Arctic Circle, from Canada to Russia and Scandinavia. If you are planning to visit the polar bears around Churchill, Manitoba, you should take a day to rent a truck and drive the local roads. You will have great opportunities to see this beautiful owl. Several travel companies offer caribou tours to remote camps in Nunavut where you can witness the summer southbound migration of the Qamanirjuaq (Kamanuriak) Herd along the west coast of the Hudson Bay, which is surely one of the world’s greatest wildlife spectacles. Many wildlife watchers dream of having a close encounter with one of earth’s grandest predators: the killer whale (also known as an orca.) These marine mammals live and hunt in groups known as pods. Orcas have the tallest dorsal fin of all whales and dolphins. A large male may have a dorsal fin taller than a man (6 feet). A female’s dorsal fin is typically only about 2 feet tall so they are easy to tell apart from a distance. Found in the waters off Canada’s west coast, the easiest way to catch a glimpse of these magnificent animals is to take a wildlife viewing tour around Vancouver Island in British Columbia. For the more adventurous, a kayaking trip to the Johnstone Strait may result in real close encounters with killer whales.